Choose from 20 MBA Specializations AACSB Accredited + NO GMAT required! 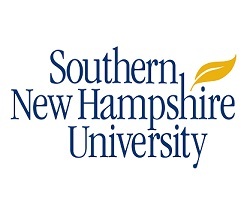 At Southern New Hampshire University, we have a tradition of excellence and a proven success rate - 95 percent of our students are employed upon graduation. The entire US healthcare industry is poised for explosive growth in the next decade: More than 2.3 million jobs will be created. Many of those jobs are in various areas of clinical nursing, and those are attractive career options for many seasoned nurses. But for experienced nurses, some of them may desire a shift away from clinical roles, and focus the balance of their career on health care and/or nursing administrative roles. To make oneself the most competitive for these well-paying, executive healthcare positions, earning an MBA in addition to a nursing degree can be a great choice. For the experienced nurse who is already an RN, you have a choice of either earning your healthcare-focused MBA as a standalone degree. Or, if you do not yet have your Master of Science in Nursing (MSN), you can even choose to earn your MSN and MBA – simultaneously. Both options are covered in this article. Jump to 50 Affordable MBA degrees fully accredited for 2017. Many nursing professionals who want to earn their MBA to develop their business management skills usually choose an MBA program with a focus on healthcare or healthcare administration. An MBA in healthcare will offer you the specialized skills to be a change agent and leader specifically in the healthcare sector. Generally, online MBAs in healthcare look at business, accounting, finance, marketing and management as it specifically applies to healthcare organizations. Experts advise that the online healthcare MBA is best for a nursing professional or doctor who has several years of experience in clinical practice. You will want to get a better idea of how to apply business principles in a healthcare setting to improve the processes of the facility or practice. How online is the online program? There are some online MBA programs that do not require any campus visits. There also are some that require you to attend campus-based sessions at least a few times. Both types of programs can work. But if you are a very busy nurse with a family, you may want to opt for an online MBA program that can be earned entirely from home. Does the program provide a high level of interaction with other students? Experienced nurses and healthcare professionals have a tremendous amount of knowledge. A very important part of a healthcare MBA program is being able to interact with other healthcare professionals. This is an excellent learning opportunity and also a good way to network. What is the level of faculty? To be the most competitive candidate for many executive healthcare positions after you graduate, you will want to learn from faculty that are highly educated, experienced and innovative. You should only consider programs for your MBA program that are full professors, ideally with a Ph.D. in their chosen field. They also should possess highly relevant experience in the business side of healthcare. California University of Pennsylvania – Dual Degree MSN-MBA – This program Dual Degree MSN-MBA offers nursing students the MSN program in Nursing Administration and Leadership track, which is fully accredited by the Commission on Collegiate Nursing Education (CCNE). For the 12th consecutive year, Cal U was named one for the best schools in the Northeast by The Princeton Review. For the experienced nurse who has already earned her MSN degree but wants a high level of business expertise, consider the online MBA in Healthcare from The George Washington University. This online healthcare MBA has been crafted for the working, experienced healthcare professional who wants to hone her practical business skills and leadership abilities. With this two year, full time graduate degree, you will develop and nurture the business skills that are needed to transform the healthcare industry. George Washington University is routinely ranked in the Top 100 National Universities as ranked by US News and World Report. The GWU School of Business is also ranked in the Top 50 by US News for online business degree programs. This program has been fully accredited by the Association to Advance Collegiate Schools of Business (AACSB International). This organization ensures that quality business management education is provided throughout the world with its rigorous accreditation process. Totally online: You can balance your nursing work and personal obligation with your drive to obtain a highly regarded MBA degree. Many classes can be be completed on your own schedule. Versatility: You have the choice of earning several online graduate certificates in addition to your MBA, including in Health Care Qualkity, Regulatory Affairs, and Clinical Research Administration. Focused on healthcare: You will gain healthcare-focused business skills through your electives in health care quality analyses, development of medicines, health care enterprises, and FDA regulatory compliance. Many experienced healthcare professionals – including doctors and nurses – choose GWU for their healthcare-focused MBA. They do so because they want to transition their healthcare career into an executive position in a healthcare facility. Others wants to gain vital insight into the business aspects of health care delivery. Benedictine University offers a unique, dual MSN/MBA that will provide you with the skills to become a servant leader who can lead clinical staff through many types of business climates and changes. Students who choose this dual degree program have to be accepted into both programs. Students complete one online degree, and then complete the classes for the next master’s degree. This dual degree program is a financially astute choice because graduate students can complete both programs in only 23 courses. This results in a savings of thousands of dollars over taking both degree programs separately. The website states that you should be able to save as much as $14,000 and 10 months of time. The dual, online MSN/MBA is crafted for experienced RNs who want a complete understanding of both nursing practice. It also is made for the nurse who wants to be able to identify and solve complicated business problems in a healthcare setting. Graduates of this program are uniquely equipped to make smart, data-driven decisions based upon accounting, finance, economics, operations and marketing principles. This four year program is an ideal choice for the experienced nurse who wants to advance into a high-paying administrative or leadership position in large health care facility, such as a hospital. An experienced nursing professional who holds both an MSN and MBA degree will find herself with many attractive career options at the pinnacle of many healthcare organizations around the country. Zach G Zack Gary is Editorial Director for MBANoGMAT.com. 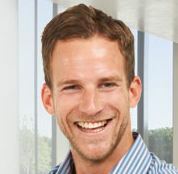 Zach has a love for business education and a penchant for anything supply chain related. As a passionate writer, Zach regularly loves to discuss the life, work and family balance for other students who are interested in pursuing his favorite program, the MBA. Zack Gary is Editorial Director for MBANoGMAT.com. Zach has a love for business education and a penchant for anything supply chain related. Learn more about Zach.